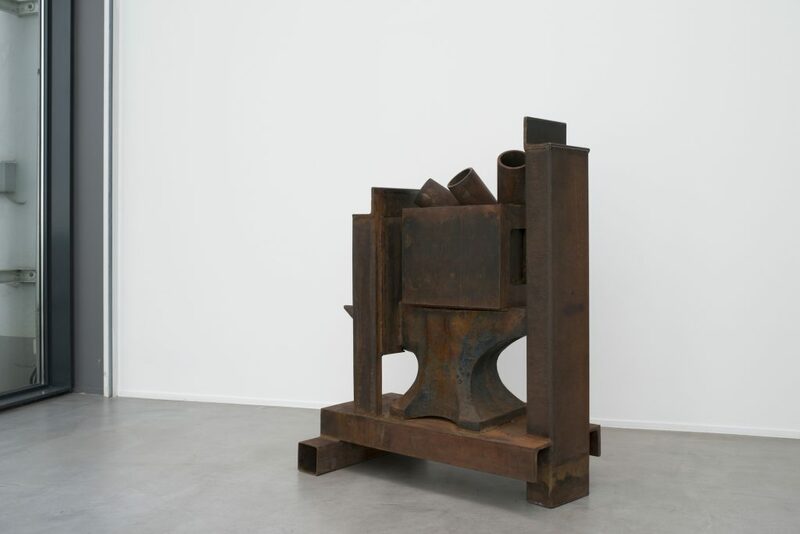 Galerie Templon will be presenting an original collection of indoor sculptures by Sir Anthony Caro in Brussels from June 1 to July 29, echoing the exhibition of his works in the gardens of the Musée Van Buuren. 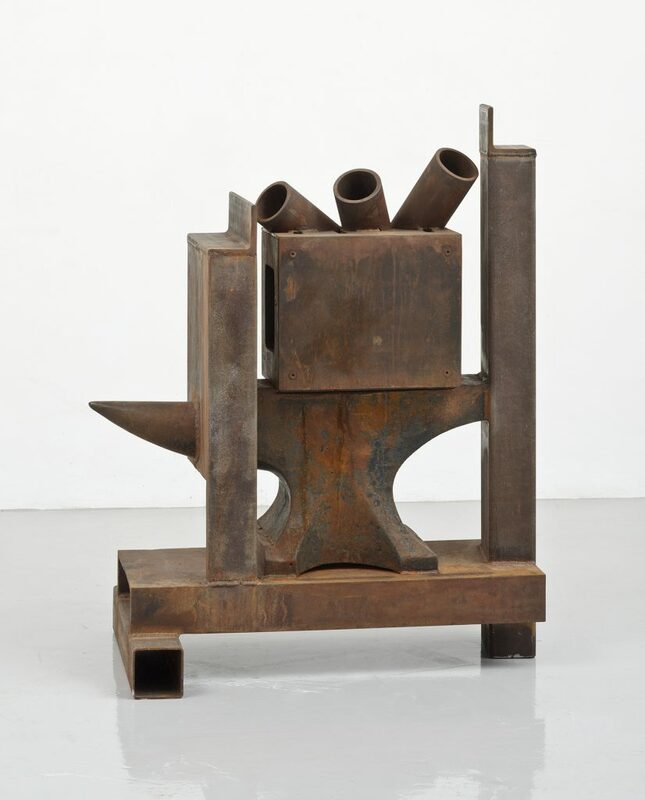 The exhibition will display two contrasting series by Caro, illustrating the diversity of his output and his incredible gift for self-reinvention. 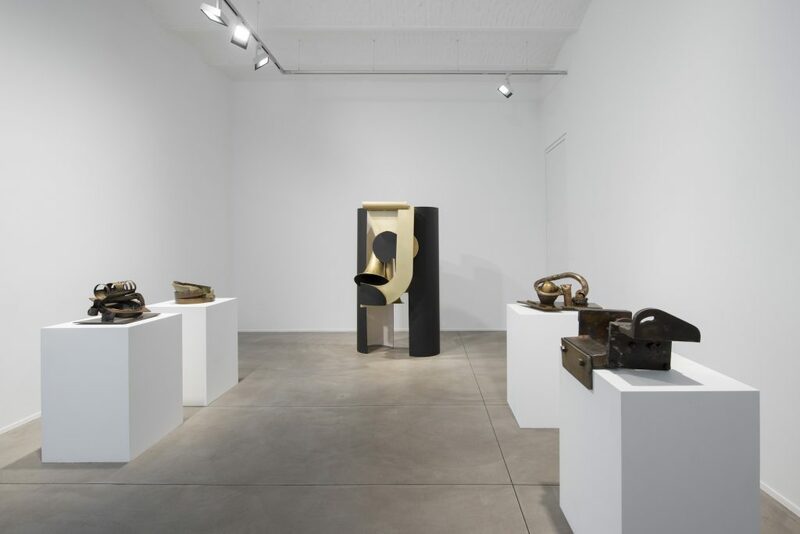 Anthony Caro’s final works — monumental compositions that experiment extensively with Perspex, a transparent plastic — will be juxtaposed with his small Table Pieces, displayed in the gallery’s project room. 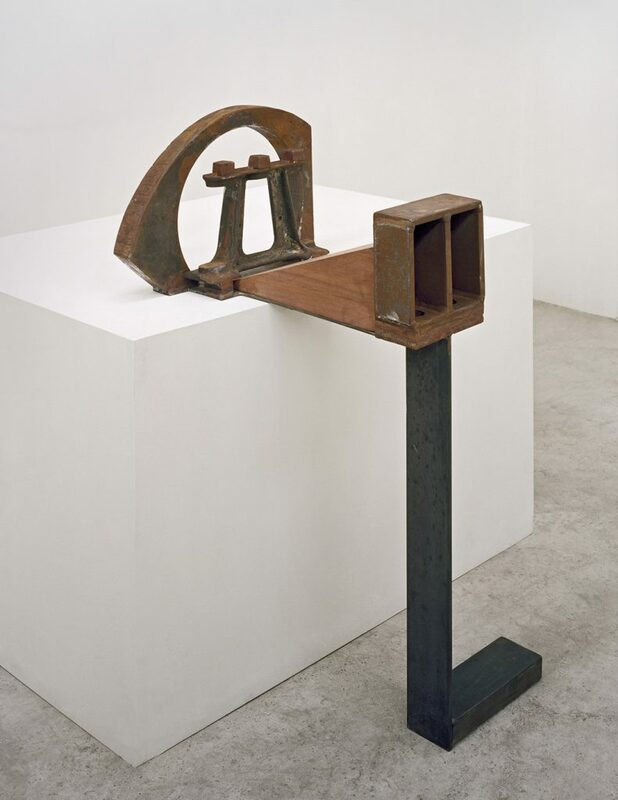 Born in 1924 and knighted by the Queen of England in 1987, Sir Anthony Caro reinvigorated contemporary sculpture. A pupil of Henry Moore, he never stopped exploring dialogues between the arts, from his single-minded quest for the abstract until his evolution towards more narrative forms. 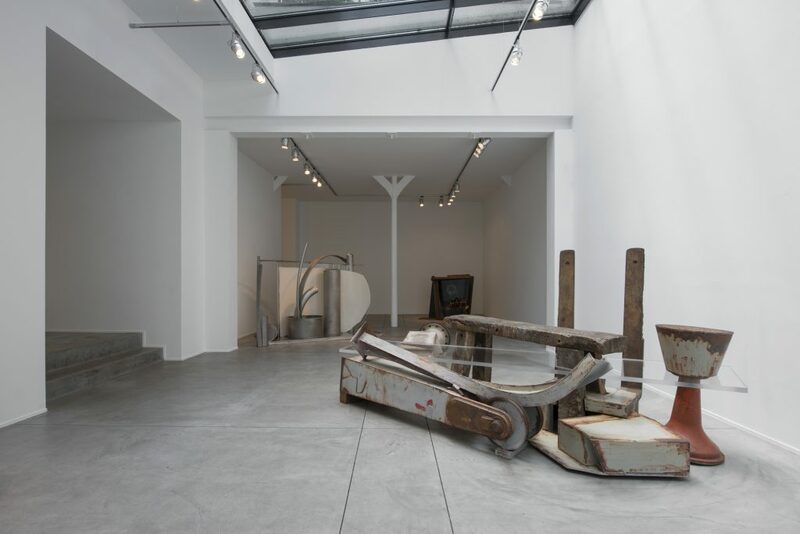 Installation views of Anthony Caro, Table Pieces and Late Sculptures, at Galerie Daniel Templon Brussels. Courtesy of the Barford Studio and Galerie Daniel Templon, Paris and Brussels. 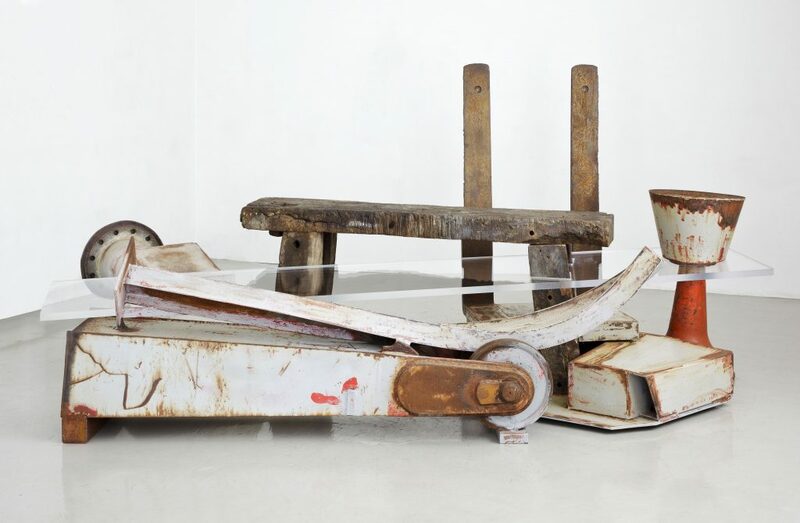 Steel, cast iron and wood, 104 x 53,5 x 61 cm, 41 x 21 1/8 x 24 in. 117 x 86 x 58,5 cm ; 46 x 34 x 23 in.